NEW YORK -- Toyota Motor Corp. failed to warn a Long Island, New York, driver that his vehicle could unexpectedly accelerate, said a lawyer for a doctor who claims his 2005 Scion sped up uncontrollably and didn't stop until he hit a tree. Toyota, the world's largest automaker, recalled millions of U.S. vehicles, starting in 2009, for defects related to sudden unintended acceleration. Amir Sitafalwalla's lawsuit, filed in 2008, is the first such claim against Toyota to reach a jury trial in the U.S. since the recalls. "An accident did not simply happen," Sitafalwalla's lawyer, George N. Statfeld of Manhattan, said in his opening statement Monday in federal court in Central Islip on Long Island. "An accident was caused by the negligence" of Toyota. "As soon as he attempted to place the vehicle in park -- voom -- it took off," Statfeld told jurors and U.S. Magistrate Judge E. Thomas Boyle, who is presiding over the case. Toyota is facing hundreds of lawsuits claiming lost vehicle value or personal injuries caused by incidents of sudden unintended acceleration. Sitafalwalla claims the automaker knew its vehicles could unintentionally speed up, leaving drivers at risk for accidents and injuries. Sitafalwalla, an emergency room physician, was injured in the October 2005 accident in the driveway of his Port Washington, New York, home. The company disputes Sitafalwalla's claim that there was a defect in his Scion or that any flaws caused the accident. Sitafalwalla's vehicle wasn't among those recalled. "We're here because Toyota Motor Sales firmly believes that there was no defect in this car," Toyota attorney Brian Crosby said in his opening statement. Evidence will show that Sitafalwalla "mistakenly put his foot on the accelerator and not on the brake," Crosby told jurors. Toyota began a series of recalls in September 2009, announcing that 3.8 million vehicles were being recalled because of a defect that may cause floor mats to jam down the accelerator pedal. In January 2010, the company recalled 2.3 million vehicles to fix sticking gas pedals. The carmaker, based in Toyota City, Japan, said last month that it's recalling another 2.17 million vehicles in the U.S. for carpet and floor-mat flaws that could jam gas pedals. The recalls set off a wave of litigation, including suits by Toyota owners claiming alleged defects leading to sudden acceleration cost a massive loss in the value of their vehicles and claims by individuals or their families of injuries and deaths caused by such incidents. Most of the federal lawsuits were combined before U.S. District Judge James V. Selna in Santa Ana, California, who is organizing the litigation and overseeing pre-trial evidence-gathering, or discovery. Selna has been pushing to have the first cases before him go to trial in early 2013. Sitafalwalla's suit, which was filed before the recalls, wasn't sent to Selna. Many of the lawsuits claim that loose floor mats and sticky pedals don't explain all episodes of sudden acceleration and that the electronic throttle system in Toyota vehicles is to blame. Toyota has disputed any flaws in its electronic throttle control system. Last month, NASA, the U.S. space agency, and the National Highway Traffic Safety Administration said their probe of possible electronics defects found no causes for unintended acceleration other than sticking accelerator pedals and floor mats that jammed the pedals. Sitafalwalla claims in court papers that Toyota failed to correct a "faulty electronic throttle system" or "faulty floor mat components." Sitafalwalla also claims Toyota knew of prior incidents like his and should have installed a "failsafe braking system to override any sudden unintended acceleration." Statfeld told jurors Monday that Sitafalwalla's accident had three possible causes: the electronic throttle-control system caused the acceleration; the driver-side floor mat pushed onto the accelerator; or Toyota failed to install a brake-override system. Defense lawyer Crosby, of Gibson, McAskill & Crosby in Buffalo, told the jury that the only way the car could go into a wide open throttle as it did was for the driver to apply the accelerator and not have his or her foot on the brake. A brake override system only works when the brake is applied, which it wasn't in this case, he said. 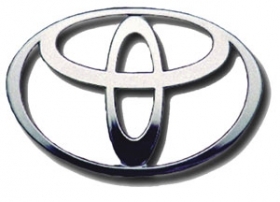 Celeste Migliore, a Toyota spokeswoman, said in an e-mail statement Monday that "while we sympathize with anyone involved in an accident in one of our vehicles, Toyota intends to defend itself vigorously against Dr. Sitafalwalla's unintended acceleration claim. We are confident that the evidence will show there was no electrical or mechanical malfunction of his vehicle's electronic throttle control or braking systems, and that his claims of pedal entrapment cannot be substantiated." If the jury finds Toyota liable, it will hear evidence on what, if any, damages should be awarded.